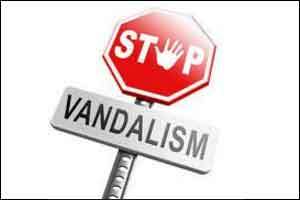 Four people have been detained for their alleged role in vandalism at the ESI Medical College and Hospital in Joka, a senior Kolkata Police official added. Family members of Bibek Sarkar, a resident of Taratala area, alleged that he died this morning due negligence on part of the hospital authorities. “The ICU has been entirely vandalized. Hospital officials, including the superintendent and doctors were beaten up and stones were pelted at policemen. Four people have been detained and we are looking into the matter,” the official told PTI. When contacted, one of the boy’s relatives claimed that the hospital authorities had for the last two days denied admission to the teenager, who was suffering from high fever and was vomiting blood. “On both the occasions, the hospital had sent him back after just prescribing some medicines. As his condition worsened, we took him to the hospital this morning. After several requests, he was admitted to the emergency ward. “Bibek was rushed to the ICU without letting us know the reason, and within minutes they declared him dead. It is because of their negligence that he has died,” the relative alleged. Following the death, all the known-to of the family gathered and created a ruckus on the spot at the ICU. The extent of the damage was such the staff while saving their lives had to rush to move the other patients out of the ICU.